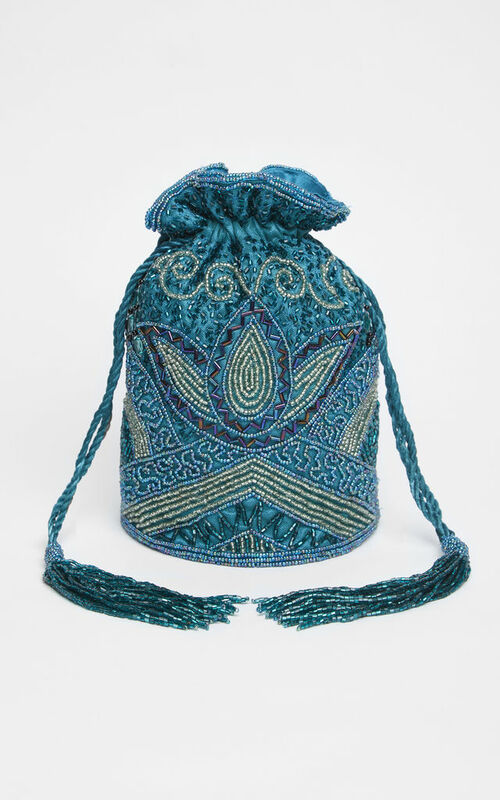 A heavily embellished 1920's vintage inspired flapper Bucket bag which is beaded front and back throughout in glistening sequins, beads and crystals in art-deco design. With a luxurious satin inner and chain strap and a perfect for the finishing touch to a vintage bridal look or for any other special occasions like prom. You can easily fit your iPhone 6s and make up. Plenty of space compare to other bucket bags. Front and back hand embellished. 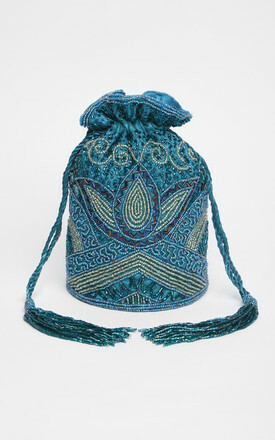 Please note: According to the handmade nature of this bag, the measurements described above may differ a small bit from the sample piece used for photography and measurements. 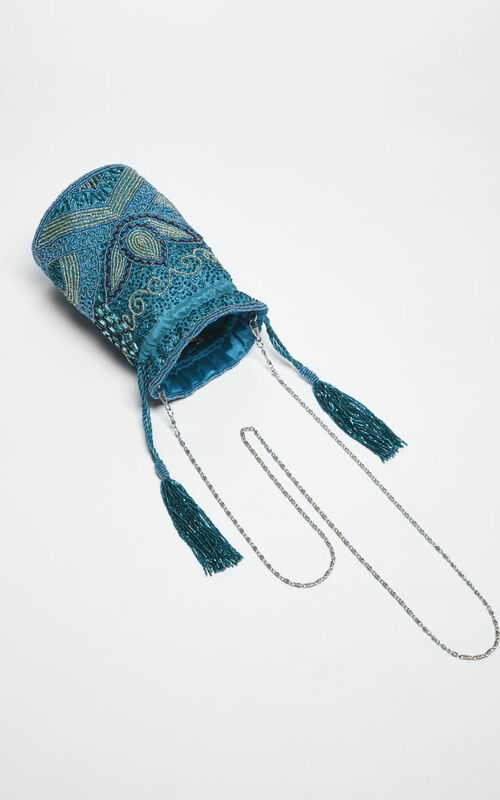 All our products are 100% handmade & beaded from scratch so the patterns on each product may vary slightly (not 100% symmetrical) from piece to piece. Due to the quality of the glass beads and sequins used on our products - they react to light differently therefore the colour also may vary slightly from the image provided depending on lighting. Loss of beads cannot be treated as faulty once used. Please contact us if the item is faulty upon delivery.